Badgers and their setts are now fully legally protected, so what happens if land earmarked for development contains a family of badgers? Or what if badger tunnels threaten to undermine foundations? The answers may be found in a booklet from Natural England called 'Badgers and development' (free of charge). It is aimed primarily at developers, architects and planners but may interest a wide cross - section of the community. You can download a copy (780KB PDF) from Natural England's web site. Sometimes local people become concerned about plans that may affect badgers, but there may not be any organisation that can solve the problem on their behalf (local badger groups are run entirely by volunteers with many demands on their time and often do not have the resources to deal with every issue). Fortunately, expert help is not required to successfully oppose a planning application. 1/ Read the Natural England booklet 'Badgers and Development'. 2/ Have a look at the planning application and any supporting documents - particularly environmental reports. 4/ Do the plans/any reports match up with what is actually on-site? 5/ Depending on what you conclude from the above, contact the local Natural England office (see phone book), and/or make an appointment to see the planning officer dealing with the application. Point out your concerns about adverse affects on any affected badger setts or habitat. Planners are legally bound to take account of the presence of badgers, and should ensure that the developer takes adequate mitigation measures to ensure their safety. But bear in mind that planners are likely to believe an environmental consultants report - in the absence of any contradictory evidence. Consultants of course work for their client and do not always have the best interests of the animals at heart!!!!! Many planners, and certainly Natural England, are well aware of the 'quality' of some consultancy work, and are often glad to have additional information from independent sources including local people. 6/ Do as much as possible to influence the planning decision. * Make as much 'noise' locally as possible. Press/TV/local radio may be more interested if a public protest is held -save the badgers from the greedy developer? 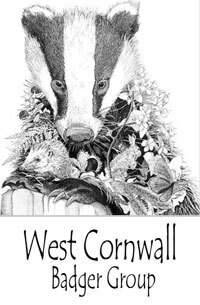 * Contact the local Wildlife Trust and ask them for help/to object (see http://www.wildlifetrusts.org for local group contacts). People power does work (sometimes) - and councils basically want a quiet life - don't let them have one if are sure that a protected species will be put at risk by development. Further information, including a 32 page illustrated leaflet to download, can be obtained from the dedicated Planning Help website provided by The Campaign to Protect Rural England.